The 2016 Uri attack was an attack by four heavily armed militants on 18 September 2016, near the town of Uri in the Indian administered state of Jammu and Kashmir. It was reported as "the deadliest attack on security forces in Kashmir in two decades". The Pakistan backed militant group Jaish-e-Mohammed was involved in the planning and execution of the attack. At the time of the attack, the Kashmir Valley region was a centre of unrest. Since 2015, the militants have increasingly taken to high-profile fidayeen attacks against the Indian security forces: in July 2015, three gunmen attacked a bus and police station in Gurdaspur and earlier in 2016, 4–6 gunmen attacked the Pathankot Air Force Station. Indian authorities blamed Jaish-e-Mohammad for the latter attack. Also, since 8 July 2016, the Indian state of Jammu and Kashmir has been undergoing continuous unrest following the killing of Burhan Wani, a militant leader popular with the youth in the state. The killing sparked violent protests against the Indian government in the valley, leading to the protests being described as the "largest anti-India protests" against Indian rule in recent years. At around 5:30 a.m. on 18 September, four militants attacked an Indian Army brigade headquarters in Uri, near the Line of Control in a pre-dawn ambush. They were said to have lobbed 17 grenades in three minutes. As a rear administrative base camp with tents caught fire, 17 army personnel were killed during the attack. An additional 19-30 soldiers were reported to have been injured. A gun battle ensued lasting six hours, during which all the four militants were killed. Combing operations continued to flush out additional terrorists thought to be alive. On India withdrawing from the scheduled SAARC summit in Islamabad, Pakistan's Foreign Office termed the withdrawal "unfortunate", and posted a rejoinder stating: "As for the excuse used by India, the world knows that it is India that has been perpetrating and financing terrorism in Pakistan." The statement included a reference to Indian national Kulbhushan Jadhav, detained by Pakistan for espionage, and accused India of violating international laws by interfering inside Pakistan. Later, Afghanistan, Bangladesh and Bhutan also withdrew from the summit. On 30 September 2016, Pakistan stated that the summit scheduled for November 9 and 10 in Islamabad would be held on an alternative date. On September 29, eleven days after the attack, the Indian Army conducted retaliatory "surgical strikes" on what it termed "launch-pads" used by militants in Pakistan-occupied Kashmir. Indian Director General of Military Operations (DGMO) Lt Gen Ranbir Singh said that it had made a preemptive strike against "terrorist teams" who were preparing to "carry out infiltration and conduct terrorist strikes inside Jammu and Kashmir and in various metros in other states". The Economist reported that Indian commandos crossed the Line of Control and struck at the safe houses, killing many terrorists . Following the uproar after the Uri attack, Indian Motion Picture Producers Association (IMPPA) decided to ban all Pakistani actors, actresses and technicians working in India till the situation returns to normal. Bollywood artists were divided towards the ban with some justifying it while some questioning its benefits. Indian TV entertainment channel, Zindagi announced discontinuation of showcasing Pakistani TV shows on the channel. The Pakistani government responded in October with a blanket ban on all Indian television and radio programming in Pakistan. The Board of Control for Cricket in India (BCCI), the national governing body for cricket in India, ruled out the possibility of reviving bilateral cricket ties with Pakistan in the near future. BCCI also asked the International Cricket Council (ICC) to not group Indian and Pakistan cricket teams together in international tournaments, keeping in mind border tensions between the two countries. Badminton Association of India, the governing body for badminton in India, decided to boycott the Pakistan International Series scheduled to be held in Islamabad in October, as an act of "solidarity" with the government's diplomatic offensive against Pakistan. The Director General of military operations, Lieutenant-General Ranbir Singh, said that there was evidence[clarification needed] that the attackers belonged to Jaish-e-Mohammad. He established a hotline contact with his Pakistani counterpart and conveyed India's serious concern on the issue. Lieutenant General Ranbir Singh has also stated that the militants used incendiary ammunition to set fire to the tents. Former Pakistani General Pervez Musharraf said the weapons that India reported as used by militants, and reported to have Pakistani markings, could be procured anywhere in the world, not just in Pakistan. Musharraf further said since many American weapons had inadvertently fallen into the hands of the Taliban, it is possible for Pakistani weapons to have been acquired by the perpetrators without Pakistani involvement. On 25 September, the Indian Army said that two Pakistani nationals[a] from Azad Kashmir were arrested by the Border Security Force in the Uri sector. They were said to have been recruited by Jaish-e-Mohammad two years ago for the purpose of acting as guides to infiltrating groups in the Uri sector. These guides themselves did not have a role in the Uri attack. They were being questioned for gathering intelligence about infiltration attempts. Pakistan denied these allegations. On the 26th of February 2017, India's National Investigative Agency (NIA) decided to file a closure report after failing to find any evidence against the two men whom they accused of facilitating the Uri army base attack. On 25 October 2016, the Indian media reported that street "posters" in Gujranwala, Pakistan, attributed to Lashkar-e-Taiba (LeT) claimed responsibility for the Uri attack. The posters claimed that one of LeT's fighters Mohammad Anas, code-named Abu Saraqa, died in the Uri attack, and there would be a funeral prayer followed by a speech by the LeT chief Hafiz Saeed on 25 October. The poster also claimed death of 177 Indian soldiers in Uri attack. After the images of the poster circulated on the Internet, the organisation claimed that it was a hoax. Abbas Nasir, the former editor of Dawn, confirmed the report about the posters on Twitter but stated that the funeral prayers have been postponed. Later on the same day, India called upon the United Nations Human Rights Council to urge Pakistan to put an end to cross-border infiltration and dismantle the non-state militant infrastructure since the likes of Hafeez Saeed (the chief of Lashkar-e-Taiba) and Syed Salahuddin (the chief of Hizbul Mujahideen) can hold huge rallies in Pakistan's main cities. It suggested that active support for such groups has become the "new normal" in Pakistan. It claimed that "zero tolerance" to non-state militancy was an international obligation. The Indian government summoned the Pakistani envoy and handed him a dossier that alleged Pakistani involvement as well as a warning that Pakistan needs to rein in militants they say operate from Pakistan. Pakistan's Foreign Ministry rejected India's allegations of involvement in the attack. The ministry asserted that India had a "tendency" of accusing Pakistan for incidents inside its territory, adding that "in the past many Indians were involved in the terrorist acts for which India had blamed Pakistan." The ministry deemed Indian statements as "vitriolic." Pakistan's foreign ministry also accused the Indian government of trying to deflect attention from the human rights situation in Kashmir, with a reference to the ongoing civil unrest. It said the situation in Indian-administered Kashmir was "not of Pakistan's making but a direct consequence of illegal Indian occupation and a long history of atrocities", and that India's reaction of accusing Pakistan without investigations was "deplorable." Pakistan's Chief of Army Staff Raheel Sharif claimed that India was propagating a "hostile narrative" in response the attack and also stated that the Pakistani armed forces were "prepared to respond to the entire spectrum of direct and indirect threat." On India withdrawing from the scheduled SAARC summit in Islamabad, Pakistan's Foreign Office termed the withdrawal "unfortunate" and posted a rejoinder stating: "As for the excuse used by India, the world knows that it is India that has been perpetrating and financing terrorism in Pakistan." The statement included a reference to Indian national Kulbhushan Yadav, detained by Pakistan for espionage, and accused India of violating international laws by interfering inside Pakistan. The Deutsche Welle noted that Kashmir was already in international headlines at the time of the Uri attack due to the anti-India protests. It further noted that immediately after the attack, mainstream media in India and Pakistan engaged in "angry" rhetoric towards each other. A video of Indian soldiers chanting "Pakistan, hear this loud and clear: If ... war breaks out you will be obliterated" went viral. The Diplomat noted that many Indian media had openly called for a war on Pakistan. India Today suggested that the fallout from the Uri attack would hurt Pakistani artists in India. Maharashtra Navnirman Sena gave all Pakistani artists in India 48 hours to leave the country and warned that they would be "hunted down". Subhash Chandra also said Pakistani artists should leave. Zee TV considered terminating Pakistani shows. The Indian Motion Picture Producers Association (IMPPA) decided to ban all Pakistani actors, actresses and technicians in India till the situation returned to normal. However Bollywood artists were divided towards the ban with some justifying it while some questioning its benefits. ^ The two individuals were identified as Ahasan Kursheed of Khaliana Kalan and Faisal Hussain Awan of Potha Jahangir. ^ DNA India (19 September 2016). "Uri attack: PM Modi calls for Pak to be isolated diplomatically, Army says India will respond at appropriate time". dnaindia.com. Retrieved 20 September 2016. ^ a b "Uri attack: BSF jawan succumbs to injuries, death toll rises to 19". The Indian Express. 25 September 2016. Retrieved 25 September 2016. ^ a b "One more soldier succumbs to injuries, death toll rises to 18 in Uri attack". Hindustan Times. 19 September 2016. Retrieved 19 September 2016. ^ a b Uri terror attack: 17 soldiers killed, 19 injured in strike on Army camp, Times of India, 18 September 2016. ^ Uri terror attack: List of jawans who died fighting terrorists, The Indian Express, 18 September 2016. ^ a b "Tents set on fire, troops shot while coming out". The Hindu. 18 September 2016. Retrieved 18 September 2016. ^ a b "Uri attack: Jaish-e-Muhammad suspects in hand, evidence shown to envoy". indianexpress.com. 28 September 2016. ^ a b "In posters pasted on Gujranwala streets, Lashkar claims responsibility of Uri Attack". The Indian Express. 25 October 2016. ^ "Uri aftermath LIVE: Infiltration bids have increased this year: Army". indianexpress.com. 18 September 2016. ^ a b c "Militants attack Indian army base in Kashmir 'killing 17'". BBC News. 18 September 2016. Retrieved 18 September 2016. ^ "Soldiers killed in army base attack in Indian territory of Kashmir". CNN. 19 September 2016. Retrieved 21 September 2016. After a few years of relative calm in Indian-administered Kashmir -- largely considered one of the world's most tumultuous geopolitical flashpoints since the India-Pakistan partition -- the region has been gripped by unrest for more than two months. ^ "India blames Pakistan militants for Kashmir attack which killed 17". Yahoo. 19 September 2016. Archived from the original on 19 September 2016. Retrieved 21 September 2016. ^ a b Ankit Panda, Gurdaspur, Pathankot, and Now Uri: What Are India's Options?, The Diplomat, 19 September 2016. ^ "Indian troops suffer deadly Kashmir ambush". ^ "17 Indian Soldiers Killed by Militants in Kashmir". New York Times. ^ a b "17 Indian soldiers, 4 militants killed in Kashmir attack". ^ "Militants sneak into Indian army base and mow down sleeping soldiers in Kashmir, killing 17". ^ "A Terrorist Attack in Kashmir Sparks Fears of a Military Conflict Between India and Pakistan". ^ "17 Indian soldiers killed in attack on Kashmir base". ^ "17 soldiers killed in attack at Indian army base in Kashmir". Washington Post. ^ "More than a dozen Indian soldiers killed in Kashmir attack". ^ a b c Uri attack: An inside story of how it happened, India Today, 18 September 2016. ^ a b Uri Attack: Most of the 17 Soldiers Died in a Tent Fire, The Quint, 19 September 2016. ^ "Uri attack: Death toll touches 18, India decides to isolate Pakistan on the global stage – Firstpost". 19 September 2016. Retrieved 19 September 2016. ^ High casualties due to transition tents, The Hindu, 19 September 2016. ^ Uri Base Caught Off-Guard Despite Specific Intel? Army Investigates, NDTV News, 20 September 2016. ^ "Uri attack: Rajnath Singh, Manohar Parrikar, NSA, Army chief meet to discuss Kashmir". The Indian Express. Press Trust of India. 19 September 2016. Retrieved 19 September 2016. ^ "Uri terror attack: NIA files FIR, begins probe". Times of India. 20 September 2016. Retrieved 20 September 2016. ^ "PIA cancels flights to Northern areas due to airspace restrictions". The Express Tribune. ^ "Troops on high alert along LoC". Daily Excelsior. 22 September 2016. Retrieved 22 September 2016. ^ "PM Narendra Modi Will Not Attend SAARC Summit In Pakistan". ndtv.com. ^ a b "India pulls out of SAARC summit in Islamabad". The Express Tribune. 27 September 2016. Retrieved 28 September 2016. ^ Roy, Shubhajit (29 September 2016). "SAARC summit to be called off as Dhaka, Kabul and Thimphu too slam Islamabad". The Indian Express. New Delhi. Retrieved 24 September 2016. ^ "SAARC summit collapses after India and three other members pull out". Hindustan Times. 28 September 2016. Retrieved 29 September 2016. ^ "SAARC summit 'postponed indefinitely'". The Hindu. 1 October 2016. Retrieved 1 October 2016. ^ "Kashmir attack: India 'launches strikes against militants'". BBC News. 29 September 2016. Retrieved 29 September 2016. ^ a b Sarkar, Suparno. "IMPPA passes resolution to temporarily ban Pakistani artists in India; Twitter reacts". ibtimes.co.in. ^ a b "Salman Khan, Nana Patekar, Ranbir Kapoor: Here's what Bollywood said on Pak actors ban - Firstpost". firstpost.com. 3 October 2016. ^ "After Pak Show ban, Zindagi Channel to bank on Indian, Turkish content". indianexpress.com. 3 October 2016. ^ "Pakistan bans all Indian TV and radio as tensions mount". BBC News. 21 October 2016. Retrieved 21 October 2016. ^ "Uri attack aftermath: BCCI chief Anurag Thakur says no question of playing cricket with Pakistan - Firstpost". firstpost.com. 23 September 2016. ^ NDTVSports.com. "India, Pakistan Shouldn't be Grouped Together in International Events: BCCI to ICC – NDTV Sports". ndtv.com. ^ "Indian badminton association boycotts series in Pakistan". hindustantimes.com. 2 October 2016. ^ Uri terror attack: Many procedural lapses at Army camp, says initial probe, Times of India, 22 September 2016. ^ Cronin, Audrey Kurth; Huda Aden; Adam Frost; Benjamin Jones (6 February 2004). "Foreign Terrorist Organizations" (PDF). CRS Report for Congress. Washington, D.C.: Congressional Research Service: 40–43. Retrieved 2 December 2009. ^ a b Jaish terrorists behind Uri attack, had items with Pakistani markings: Army, Times Of India, 18 September 2016. ^ NIA team begins probe, visits Uri encounter site, The Hindu, 20 September 2016. ^ a b 3 Days After Uri Attack, India Hands Pakistan Envoy Evidence And A Warning, NDTV News, 21 September 2016. ^ "Uri attack probe: Terrorists locked soldiers in cook house, store". The Indian Express. 21 September 2016. Retrieved 17 October 2016. ^ "Pervez Musharraf blasts on "double standards" of India on terrorism". ^ "Uri attack: Pervez Musharraf denies terrorists used Pakistani weapons". ^ Two JeM ‘guides’ arrested in Uri: Army, The Indian Express, 25 September 2016. ^ a b Abbas, Syed Sammer (27 September 2016). "Two guides from Muzaffarabad facilitated Uri attackers, India tells Pakistan". Dawn. Retrieved 28 September 2016. Pakistan on Tuesday promptly rejected Indian allegations of its involvement in the Uri army base attack, soon after Indian authorities said they had shared "evidence" with Pakistan High Commissioner to New Delhi Abdul Basit. ^ "India fails to substantiate claim of Pakistan's involvement in Uri attack - The Express Tribune". 26 February 2017. Retrieved 12 December 2017. ^ Posters in Pakistan town show Lashkar claiming responsibility for Uri attack, India Today, 25 October 2016. ^ Lashkar-e-Taiba claims responsibility for Uri terror attack, The Times of India, 25 October 2016. ^ "Parrikar, Army chief visit Kashmir, review security". Daily Excelsior. 19 September 2016. Retrieved 19 September 2016. ^ "After Uri Attack, Manohar Parrikar Instructs Army To Take 'Firm Action'". Daily Excelsior. 18 September 2016. Retrieved 19 September 2016. ^ "Isolate 'Terrorist State' Pakistan, Says Rajnath Singh After Kashmir Attack". ndtv.com. ^ "MoS defence denies reports of 3 more Uri attack deaths". Hindustan Times. 19 September 2016. Retrieved 19 September 2016. ^ "India will give a cold, calculated, and befitting reply, says General VK Singh on Uri attack". The Financial Express. 19 September 2016. Retrieved 19 September 2016. ^ "VK Singh calls for probe into lacunas which led to Uri attack". Times of India. Press Trust of India. 19 September 2016. Retrieved 19 September 2016. ^ Neelakantan, Shailaja (19 September 2016). "Uri terror attack: Demands rise for 'befitting reply' to Pakistan". Times of India. Retrieved 19 September 2016. ^ "Uri attack: India driven to the wall, say diplomats". The Hindu. Retrieved 25 September 2016. ^ No scope for constructive dialogue with Pak post-Uri attack: Congress, Business Standard, 19 September 2016. ^ Active support for terrorists like Hafiz Saeed, Syed Salahuddin new normal in Pakistan: India at UN Human Rights Council, The Economic Times, 20 September 2016. ^ "PM Modi speaks to people of Pakistan: Let us go to war against poverty, unemployment... let's see who wins". The Indian Express. 25 September 2016. Retrieved 27 September 2016. ^ "India suspends talks on Indus water pact". The Hindu. 26 September 2016. Retrieved 27 September 2016. ^ "India to review MFN status to Pakistan on Thursday". The Hindu. 27 September 2016. Retrieved 27 September 2016. ^ a b "Pakistan rejects India's allegations of involvement in terrorist attack in held Kashmir". Dawn News. ^ a b "Kashmir attack: Pakistan hits back at India accusations". BBC News. 19 September 2016. Retrieved 19 September 2016. ^ "Uri attack could be a 'reaction' to situation in Kashmir, says Sharif". The Hindu. 24 September 2016. Retrieved 24 September 2016. ^ "Govt to bring Brahamdagh back through Interpol". The Express Tribune. 24 September 2016. Retrieved 24 September 2016. ^ "India has no evidence: Nisar". AAJ News. 24 September 2016. Retrieved 24 September 2016. ^ Khanzada, Adil Aziz (27 September 2016). "Uri attack an inside job, says Khawaja Asif". Dawn. Retrieved 28 September 2016. ^ Dilip, Mangala (27 September 2016). "India staged Uri attacks, says Pakistan Defence Minister Khawaja Asif". International Business Times. Retrieved 28 September 2016. ^ "India propagating 'hostile narrative' about Uri attack: Pak Army chief". Hindustan Times. 19 September 2016. Retrieved 19 September 2016. ^ ANI (19 September 2016). "Uri attack: Afghan envoy calls for joint strategy to fight terrorist groups" – via Business Standard. ^ a b c d e f g Bhat, Aditya (21 September 2016). "International community supports India, strongly condemns Uri attack". International Business Times. Retrieved 21 September 2016. ^ "Mr. Syed Muazzem Ali | Welcome to MOFA Website". www.mofa.gov.bd. Retrieved 20 September 2016. ^ "Uri Terror Attack: Bangladesh Stands With India, Says Envoy". news18.com. 19 September 2016. ^ "Press Release | Welcome to MOFA Website". www.mofa.gov.bd. Retrieved 20 September 2016. ^ "India Pulls Out Of SAARC, Bangladesh & Afghanistan Follow. Pak Heads Towards Total Isolation". Retrieved 29 September 2016. ^ "Bhutan condemns Uri attack". Zee News. Retrieved 25 September 2016. ^ "Canada condemns attack on Indian Army camp at Uri". 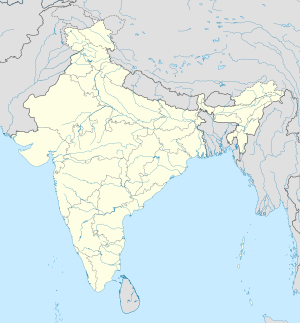 Government of Canada: Canada in India. 19 September 2016. Retrieved 20 September 2016. ^ Krishnan, Ananth (19 September 2016). "China condemns Uri attack, but wants India, Pakistan to have 'dialogue'". India Today. Retrieved 19 September 2016. ^ "Inde – Attaque terrorist (18 September 2016) (fr)". France – Diplomacy. 18 September 2016. Retrieved 18 September 2016. ^ "Condemning Uri terror attack, France, Russia score direct hits against Pakistan". The Times of India. 21 September 2016. Retrieved 21 September 2016. ^ a b "Uri terror attack: After Russia, now Germany and Japan stand with India; condemn terrorist strike". The Financial Express. 20 September 2016. Retrieved 20 September 2016. ^ "Italy condemns Kashmir terror attack. Minister Gentiloni offers his condolences". Farnesina (Ministry of Foreign Affairs and External Cooperation). 19 September 2016. Retrieved 22 September 2016. ^ "Japan, Russia condemns Uri terror attack, express solidarity with India". Yahoo! News. 19 September 2016. Retrieved 20 September 2016. ^ "Nepal condemns Uri attack". indialivetoday.com. 19 September 2016. ^ "Press Release on the Terrorist Attack in Uri". 19 September 2016. Retrieved 20 September 2016. ^ Korablinov, Alexander (19 September 2016). "Russia strongly condemns Uri attack". Russia & India Report. Retrieved 29 September 2016. ^ "Uri Attack fallout: Russia calls off military exercise with Pakistan". The Financial Express. 19 September 2016. Retrieved 29 September 2016. ^ "Russian forces arrive in Pakistan for first-ever joint military exercise". Express Tribune. 23 September 2016. Retrieved 2 October 2016. ^ "Caution and clamour on Uri response". The Telegraph. 20 September 2016. Retrieved 21 September 2016. ^ "Singapore condemns terrorism in all forms". The Hindu. 4 October 2016. Retrieved 4 October 2016. ^ "PMO India on Twitter". Twitter. Retrieved 21 September 2016. ^ "Sri Lanka condemns terror attack in Kashmir's Uri". Zee News. Retrieved 21 September 2016. ^ "No: 229, 18 September 2016, Press Release Regarding the Terrorist Attack Perpetrated in Jammu and Kashmir". Turkish Ministry of Foreign Affairs. 18 September 2016. Archived from the original on 19 September 2016. Retrieved 20 September 2016. ^ "UAE condemns terrorist attack against Indian military base in Kashmir". Emirates News Agency. 18 September 2016. Retrieved 18 September 2016. ^ "FCO Press Release: Foreign Secretary condemns attack in Indian-administered Kashmir". Gov.uk. 18 September 2016. Retrieved 18 September 2016. ^ "Indian Army Brigade Headquarters in Uri". U.S. Department of State. 18 September 2016. Retrieved 18 September 2016. ^ "US lawmakers move bill to designate Pakistan a terrorist state". The Express Tribune. Retrieved 25 September 2016. ^ Chairman Poe introduces the Pakistan State Sponsor of Terrorism Designation Act, Press release, U. S. Congressman Ted Poe (official website), 20 September 2016. ^ "UN Secretary General Ban Ki-moon condemns Uri terror attack". Economic Times. 19 September 2016. Retrieved 19 September 2016. ^ "Attack at the Indian Army Camp in Uri – eeas – European Commission". europa.eu. ^ "Uri terror attack: UN Secretary General Ban Ki-moon condemns act". The Indian Express. 19 September 2016. Retrieved 19 September 2016. ^ "How Indian and Pakistani media are covering Kashmir unrest". ^ "Could India and Pakistan Go to War?". ^ a b "Uri aftermath: Pakistan artists to be banned in India?". ^ Shawn Snow, 17 Indian Soldiers Killed in Kashmir: India-Pakistan Tensions Heating up, The Diplomat, 19 September 2016. ^ Exclusive: Uri Avenged As Spl Forces Cross LoC, Kill 20 Terrorists, report Chandan Nandy, The Quint, 22 September 2016. ^ Uri attack: There was specific intelligence inputs; IB alerted army units on Thursday, India Today, 18 September 2016. ^ Uri attack: Pakistan plots spectacular event ahead of Sharif's UN speech, report Intel sources, India Today Television, 19 September 2016. This page was last edited on 23 April 2019, at 23:49 (UTC).